3D HD is the industry leader in the manufacturing of the highest quality car care products. With over two decades of research and development 3D car care products has established a solid name in the car wash, detailing, and car care industry. We use green, organic, or natural ingredients. Over 95% of 3D products are biodegradable and/or green. 100 % VOC Compliant. Since its establishment in 1996, the professional teams in Shine Mate group have served the customers world wide, based on the aims at holding the good faith, the specialized skills, and the dedicated attitude, they adhered to constantly provide customers with innovative products and services, enhance the brand value by the customers' satisfaction. 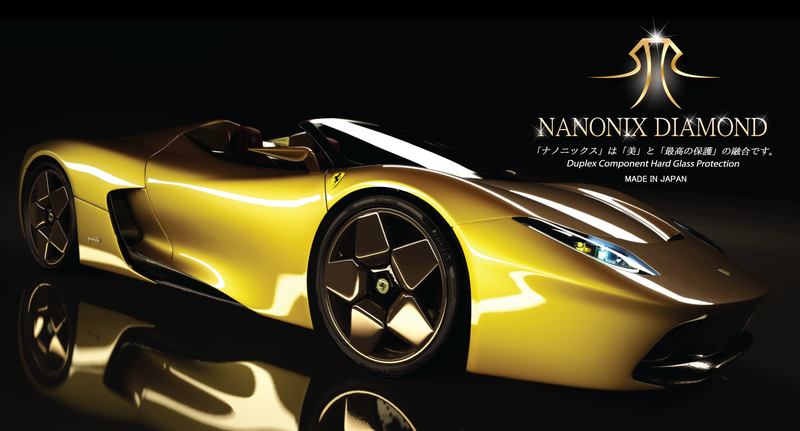 NANONIX Japan with scientist team’s effort to develop the shiniest and the most durable glass coating in the market, NANONIX Japan is proudly to introduce to the world the most advanced nanotechnology ceramic crystal coating; “NANONIX”; the combination of "beauty" and "greatest protection". MIKAWA "Plug & Play" is an innovation of car care tool at home from Japan since 1999. We created user-friendly polishers and chemical with high performace to protect your cars and bring the supreme gloss also able to restore the paint to the best condition with easy step. We also have the full service team to serve our customers. Primus Auto "Inspire the world, create the future." As one of the leading auto care in Thailand, Primus Auto is never stop serving our customers with the latest technology, creative solutions and innovative products. We always convey a passion for our customers and partners to consistently deliver the best customer service experience. Primus Auto Company Limited © Copyright 2016 All right reserved.